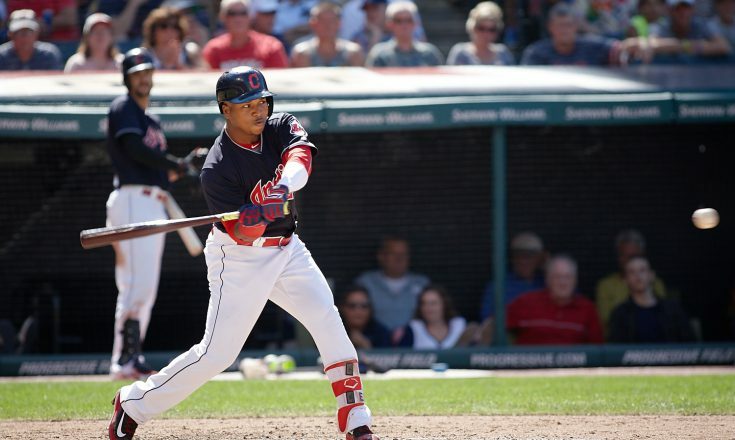 Francisco Lindor crossed the plate in the first off a Jose Rameriz bases loaded swinging bunt single to give the Cleveland Indians a 1-0 lead, which proved to be the only offense the Tribe needed. But the Indians’ lineup decided to tack on five more runs for good measure. 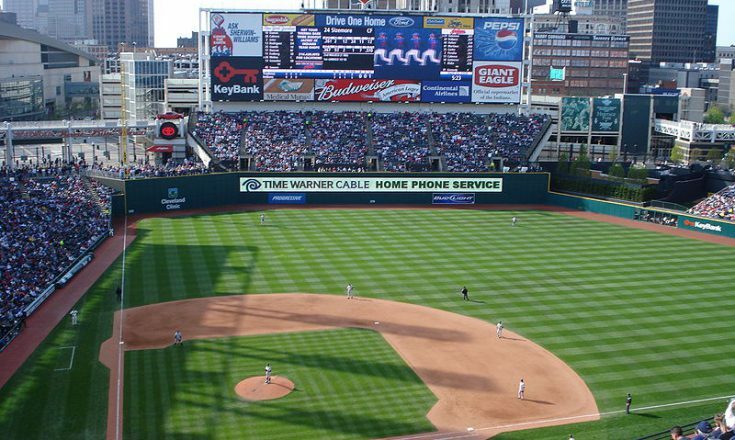 The Tribe scored a second run in the first as Brandon Guyer was hit by a pitch with the bases still loaded, and added four more runs off Roberto Perez home-runs in fourth and eighth innings. However, behind the dominant pitching performance from Cleveland ace Corey Kluber those additional runs amounted to nothing more than box score padding fluff. Kluber racked up nine strikeouts in his World Series debut, making the high-powered Cubs’ offense look often over-matched in the batter’s box. 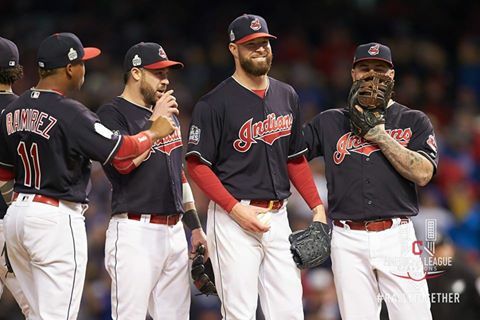 Through an abbreviated six inning performance, Kluber allowed just four hits and kept Chicago from mounting much of a scoring threat. Despite his command of the game, manger Terry Francona pulled Kluber in the seventh after giving up a blistering double to Kyle Schwarber. Kluber’s early exit is an attempt to save his arm for a likely game four start on Saturday in Chicago. 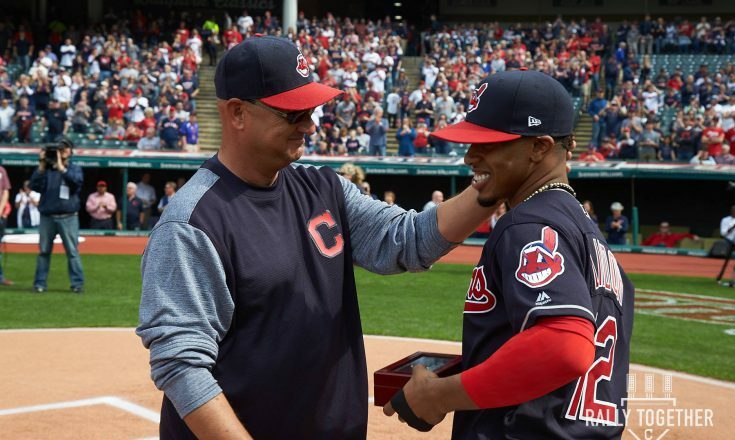 “He’s a good pitcher all the time,” Francona told the media. “In these playoffs, he’s been about as good (as he can be). And we need him to be that good (because) we’re going to need him more. Following the Indians’ formulaic pitching plan for the postseason, the team called on Andrew Miller to hold the Indians’ lead. Though Miller’s outing was not the typical flawless performance the reliever has delivered throughout the playoffs, he was able to escape a bases loaded seventh without a scratch. The Cubs approach to facing the dominant lefty seemed to yield more results than most teams have been able to muster against him. Chicago hitters were able to lay off his slider forcing Miller to work deep into counts and rack up 48 pitches in two innings. It’s not likely that we will see the southpaw again in game two due to his pitch count, but then again Miller has proven to be able to successfully work long relief outings and Francona may not have much of a choice in using him. Fortunately, Cody Allen breezed closed the game in a non-save situation after Perez’s three-run homer in the eighth, so his arm will be fresh for the remainder of the home-stand. With Trevor Bauer slated to start tonight, Cleveland will likely call on the bullpen in the same capacity and will need both Allen and Bryan Shaw, who did not throw yesterday. Game two is scheduled to start at 7:05 p.m. in hopes to avoid inclement weather in Cleveland.